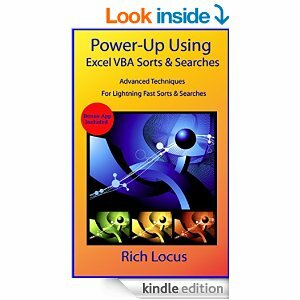 The book Power-Up Using Excel VBA Sorts and Searches: Advanced Techniques for Lightning Fast Sorts and Searches by Rich Locus presents VBA code, that can be used for Searches and Sorts. Pretty much that is all. The book comes up with 100% of the code, which it uses is a noticable plus. The code is explained and the task is solved! If you really have problems with sorting and searching – the book will help you! 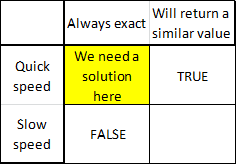 It does not do more than that – it resolves a for searching and sorting in VBA. Anyway, it does not claim that it does more.